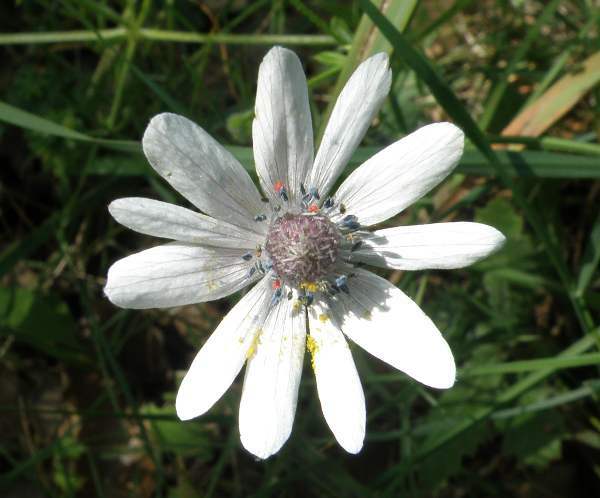 The flowers of Anemone heldreichii are white and sometimes flushed with pale pink. The reverse of the petals may be either bluish or pink. This Mediterranean member of the Buttercup family (ranunculaceae) grows in Karpathos, Crete and on the Ionian islands. Although these lovely wildflowers look very attractive, like most if not all Anemone species they are poisonous. This lovely wildflower favours shaded sites in the dry Mediterranean region to which it is native and where it blooms from January through to the end of April. Anemone comes from Greek and literally means 'daughter of the wind', although many other explanations have been put forward as the intended meaning of the name Anemone. The specific eopithet heldreichii was selected in honour of the 19th century German botanist Theodor von Heldreich. 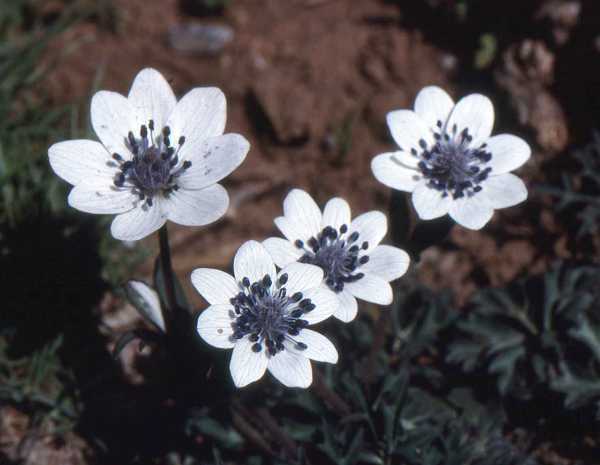 Another most attractive Anemone species that occurs in Crete and other Greek islands is the Crown Anemone Anemone coronaria.